How to record telephone conversations? Note - This is just for your information, we are not recommending it. 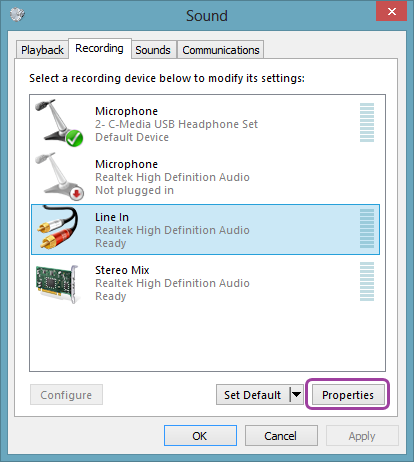 After connecting the telephone with it correctly, insert the 3.5mm stereo connector to the Line In jack (which is often blue) on your sound card. 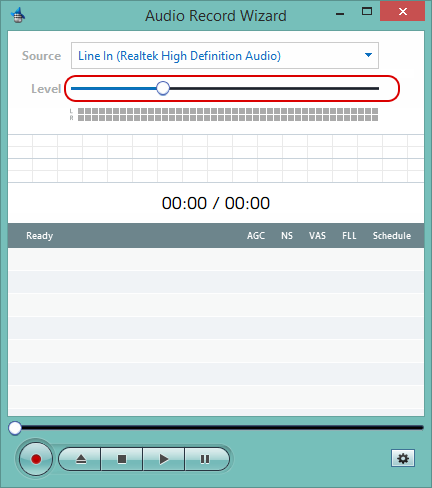 In this example, the telephone is connected to the on-board sound card which is the primary sound card, "Realtek High Definition Audio", so we select "Line In" within "Realtek High Definition Audio" section. 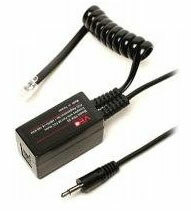 Note - Names for devices are provided by its manufacturer, so different sound cards have the different names. 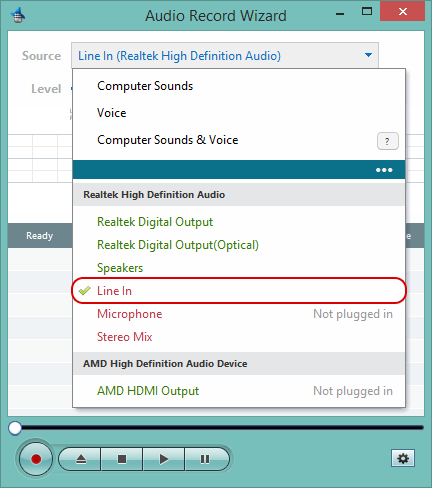 "Line In", "Line Input", are used for recording from Line-in jack on the sound card. 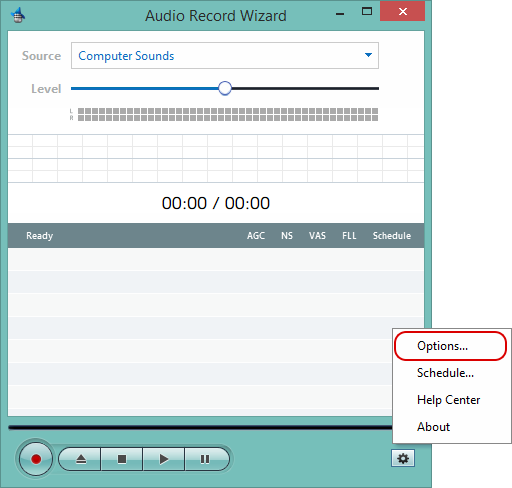 Audio Record Wizard will record sounds directly into this file. 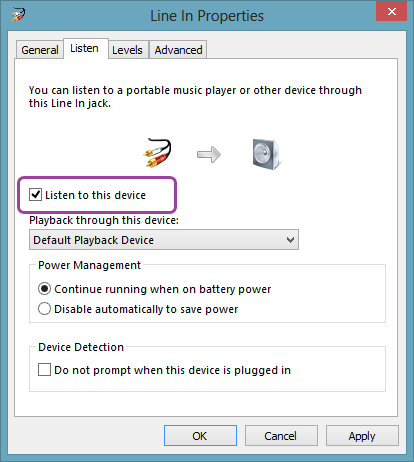 After recording, you can play the saved audio file on your computer by using a media player program. 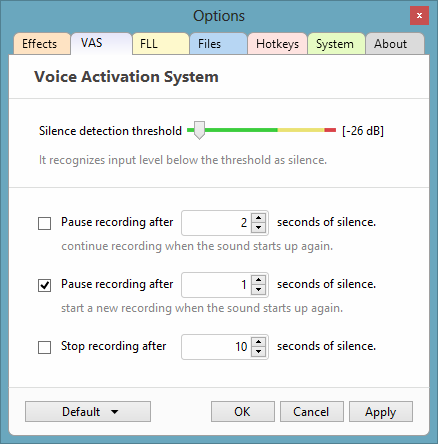 Voice Activation System is very useful in this case, it can automatically filter out long pauses for you. 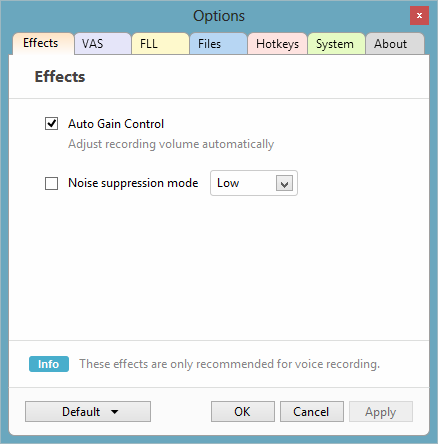 Go to 'VAS' tab, select the appropriate settings. 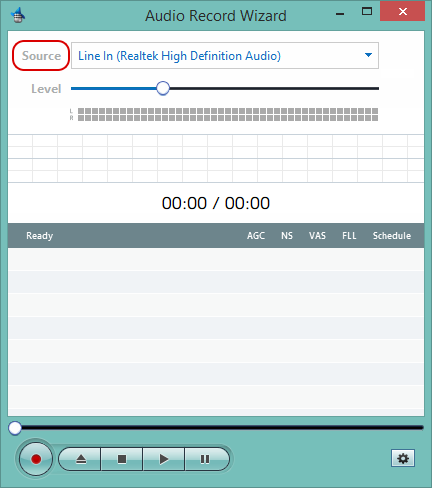 Now, Audio Record Wizard will be able to record from Line In. But, no sound will go through the speakers while recording. In other words, you will not hear what is recording. In order to enable it, please click Source to open Control Panel.